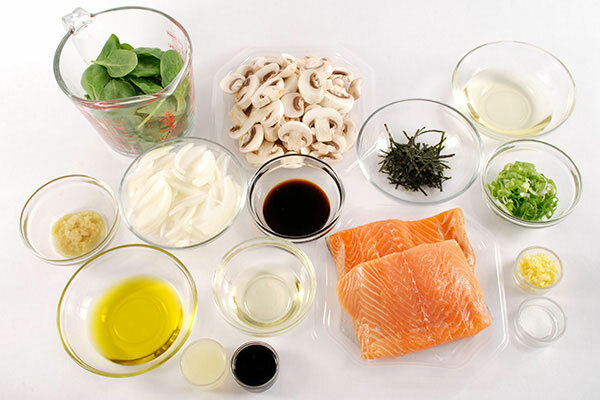 Marinate salmon in Marinade sauce for 5-10 minutes. Heat 1 Tbsp. 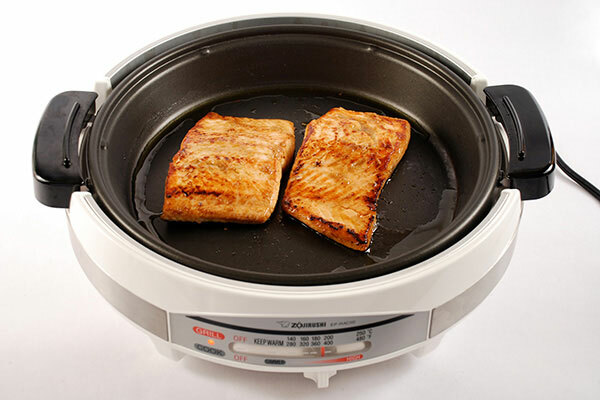 oil in the Gourmet d’ Expert® Electric Skillet on High setting. 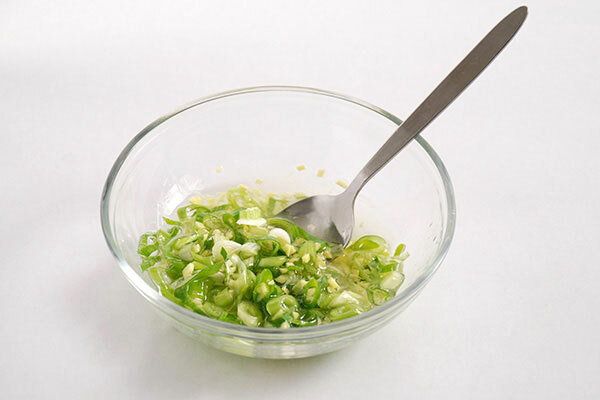 Add onions, and cook approximately 3 minutes. Add spinach and mushrooms and cook 2 minutes. Stir in teriyaki sauce and remove - set aside. Lower heat to Medium-High setting (360 - 400°F). Heat 1 Tbsp. 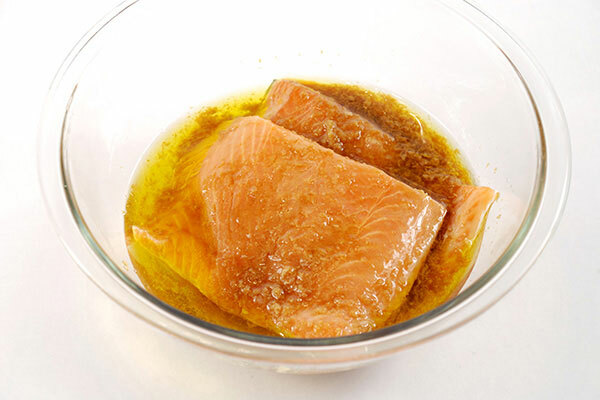 oil, add marinated salmon fillets and cook 5 minutes on each side basting occasionally with marinade. 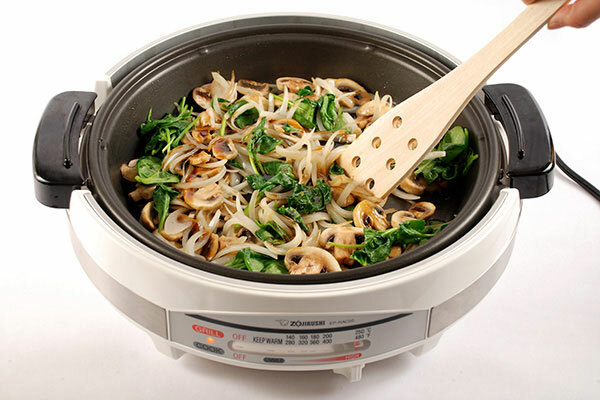 Add onions, mushrooms and spinach to pan and cover. 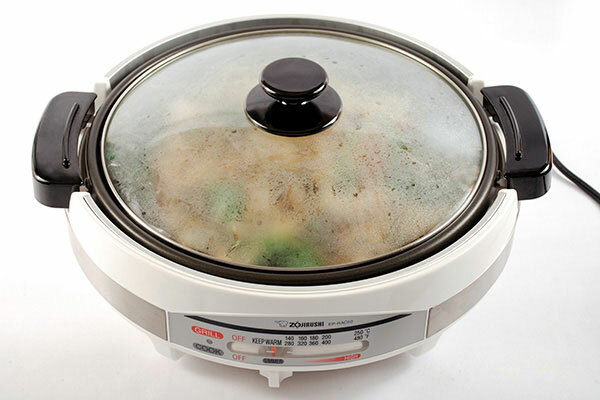 Lower heat to simmer and cook another 1-2 minutes. 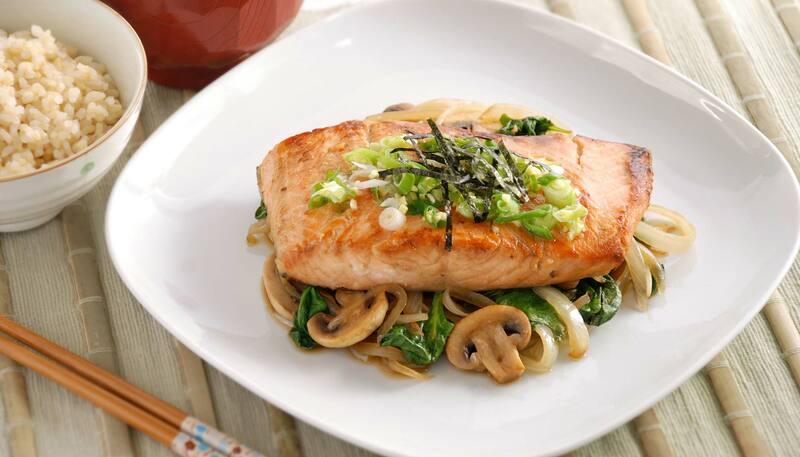 Remove and top salmon with garnish and roasted seaweed slivers.